They range from Canada to Costa Rica and from the east coast to the great plains, and along the western coast of the United States. They live in a wide range of habitats from woods to brush to open fields, but prefer wet areas near streams and swamps. Opossums are opportunistic feeders and will eat just about anything, such as small animals, plants, worms, amphibians, fruits, vegetables, carrion, and garbage. Opossums breed several times per year producing litters averaging around eight kits from late winter through spring and summer. Breeding seasons should be considered in nuisance control activity in order to avoid orphaning young. An opossum in your yard should not be a problem, as they are not aggressive or destructive and do not attack or threaten pets, or dig burrows. They are beneficial to humans because they feed on many types of insects, like crickets and beetles, as well as on mice and voles. 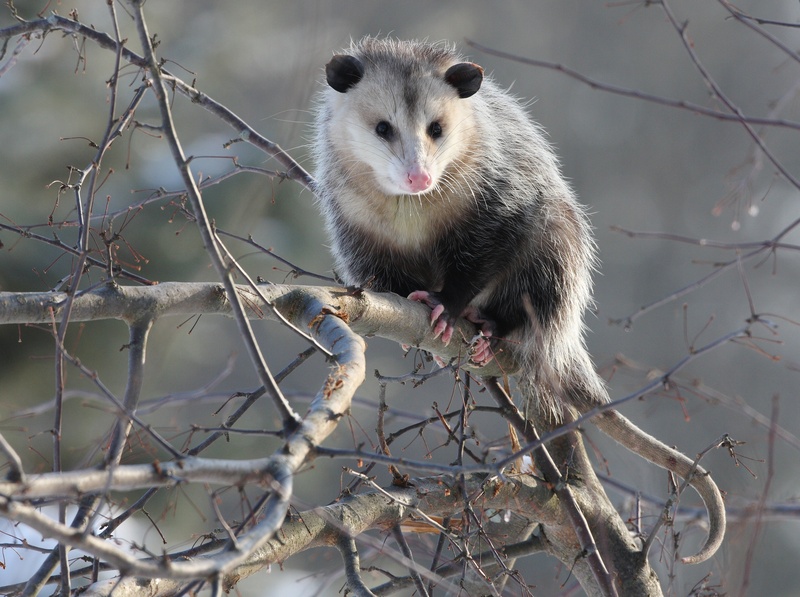 Opossums may get into garbage or pet food left outside and will sometimes raid poultry yards or gardens to feed on vegetables, apples, and strawberries.